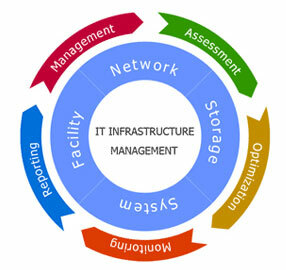 We understand that a smooth functioning IT infrastructure is a fundamental requirement of modern enterprises. We offer ace level Infrastructure Management services to enable enterprises facing critical challenges in administering their IT infrastructure. We aim at helping our clients by aligning IT programs and goals with enterprise strategy to provide solutions that improve the efficiency, authenticity and performance of data centre, network and security infrastructure. In order to do so, we combine expertise, experience, strategized methods and management services to help IT organizations reduce costs and increase efficiencies. 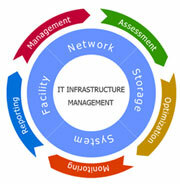 Contact us to learn more about our Infrastructure Management services.